Your child will be ready to rampage around the neighborhood in this adorable dinosaur costume! 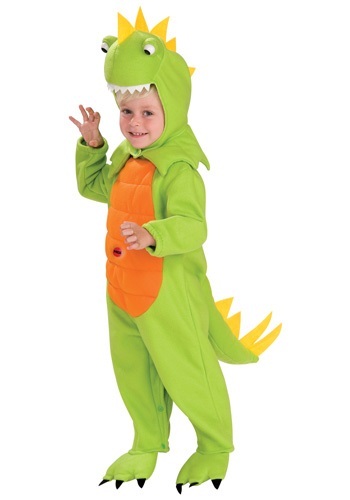 The toddler costume includes bright green, polyester jumpsuit with Velcro snaps along the back for a secure fit. The tummy is covered in orange and when you push the tummy in, a small speaker hidden inside the costume makes dinosaur roaring noises. The back of the jumpsuit features a stuff green tail with felt yellow spikes. 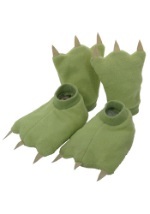 The legs of the jumpsuit end with little dinosaur feet, while an elastic strap can be fit under your child's feet. The final piece to the costume is a stuffed dinosaur headpiece. 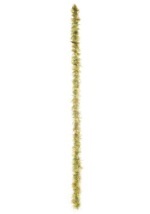 It features large beady eyeballs, while a row of yellow felt spikes line the back. 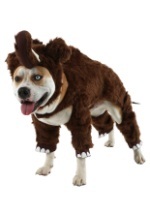 It snaps into place with a Velcro strap under the chin. He's sure to cause a commotion!